TruliaReese Witherspoon sold the larger part of her compound in Los Angeles' Brentwood district for more than $10 million. Bye, Bye, Brentwood! Reese Witherspoon has just sold the remainder of her massive Brentwood compound for $10.068 million. After listing that entire Los Angeles property and an adjacent side lot for sale for a whopping $14 million in June, Witherspoon peeled off the smaller lot in a side deal, getting $3,550,000 for the lot (with a "teardown" home) on Sept. 11. 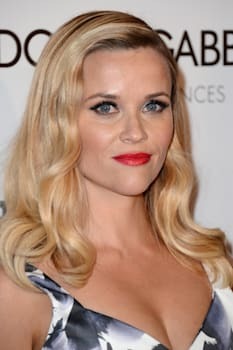 Witherspoon apparently wanted out of the Brentwood compound now that she's bought a brand-new Pacific Palisades home for $12.705 million and a stately fixer-upper in her hometown of Nashville. When the estate first hit the market, Witherspoon welcomed Vogue.com video cameras into the home for a closer look.